XRender : AlphaComposite test results are incorrect. 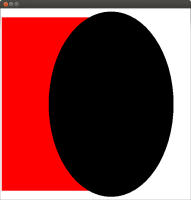 On Linux with JDK 8 the attached program performs OpenGL drawings correctly if run with -Dsun.java2d.opengl=True option. However, if run with -Dsun.java2d.opengl=False or if sun.java2d.opengl option is not specified at all, then the same program produces different OpenGL drawings and they are not correct. If run on JDK 7, then in all cases the program draws the same correct drawing. Then see the graphics output on screen. The output differs and with -Dsun.java2d.opengl=False looks incorrect. The output does not differ and looks correct when run with JDK 7. We have a set of functional tests falling because of that issue. 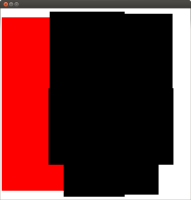 JDK-8176795 Wrong color drawn when painting translucent colors on volatile images using XRender.